An article was recently printed about metal beads made from meteorites being found in the ancient Gerzeh cemetery in Egypt. This is not a new story, the cosmic origin of the iron has been known for many decades. In fact articles were published in the early portion of the previous century about the ancient Egyptian use of iron from meteorites. Additionally, a good number of iron artifacts were found in King Tutankhamen’s tomb made from meteoritic iron. So the story of early use of iron meteorites is not a new story. What has not been suggested yet and what I would like to offer now is the possibility that the source for some of the ancient iron is the young crater of Gebel Kamil in southern modern Egypt. The beads of the Gerzeh tombs are high in nickel at around 30% by weight. There is actually little metal remaining of the beads but the high nickel content suggests to this author that an ataxite meteorite such as the Gebel Kamil meteorite might be the source. The age of the Kamil crater is thought at the present time to be around 5,000 years. This would not be quite old enough for the Gerzeh tomb beads but should the crater date be found to be somewhat older it could be a fit. I think given the dramatic nature of even small impact crater events like Kamil that it would certainly have been noticed by the people living in the area at the time. 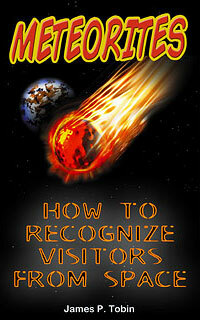 There were other meteorites that could have been the source and trading was extensive but I find the idea intriguing. On the negative side the rarity and value of iron in the distant past would have led to the depletion of the meteorites at the crater site and that does not seem to be the case. Thousands of meteorite fragments have been recovered from the crater area. 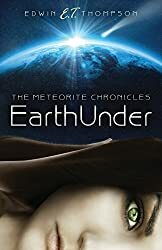 Endless speculation about ritual use and use by only the highest class under strict control might explain why the crater is not barren of meteorites ore. Or it may never have been a source or even seen until recently. A single iron meteorite of unknown origin could have been found somewhere else and used for the cold worked artifacts. Modern trace element analysis is commonly used to match or separate suspect similar iron meteorites. Maybe these minor components of the metal’s composition hold the secret of their source. It just seems a shame to this author that the actual sources of the meteorites for such wonderful old artifacts is not known.